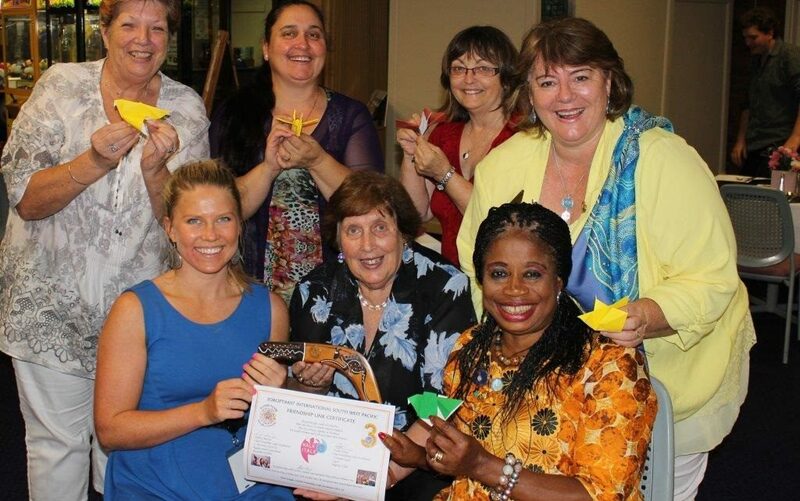 The United Nations observes International Day of Peace every year on 21 September, and this year a young Soroptimist from Moreton North Inc, Australia, Sarah Cowley and her group’s Peace Crane Project have been invited to speak at the United Nations event in New York, under the theme ‘Together for Peace: Respect, Safety and Dignity for All’. Sarah will speak about the experience facilitating the Peace Crane Project with refugees and migrants in Costa Rica earlier this year and how the project is making a global impact. Sarah and a team of two others will visit Philadelphia and Chicago for Peace Day events as well. Included in SI’s vision is to create strong, peaceful communities worldwide for women and girls; and our work is carried out under the principles of equality, development and peace and; the advancement of international understanding, goodwill and peace. Sarah became involved in the Peace Crane Project after completing her BA Social Science at the University of Queensland. The project, which began in 2013, is an international exchange programme, inviting children around the world to connect through the arts. The Project invites families, schools and community groups to fold an origami crane, dove or heart or other symbol of peace, and write a message of peace on their creation, then trade it with another participating group. The Project publishes an exchange list of participants which aids in connecting the international partnerships. 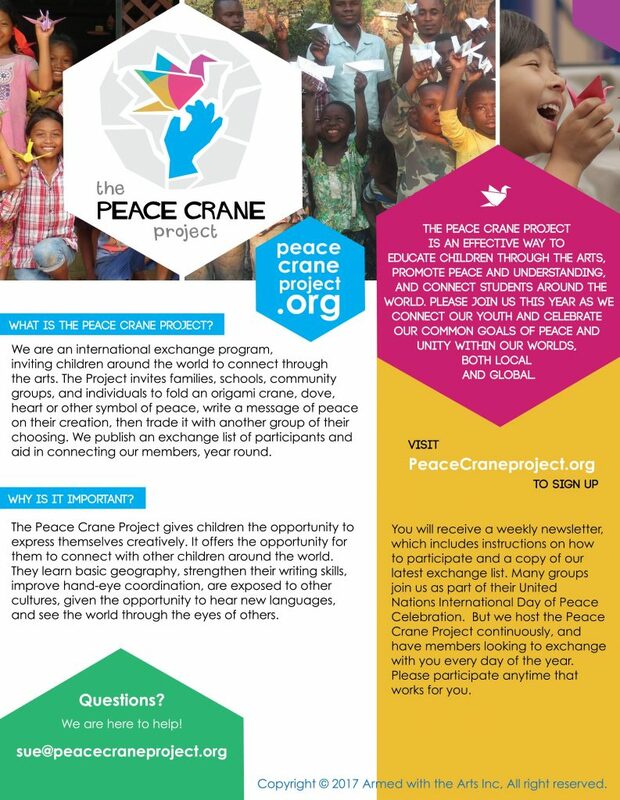 The Peace Crane Project provides children the space to express themselves creatively. It offers them the opportunity to connect with other children around the world and spread the message of peace. Students, teachers and families everywhere are encouraged to discuss peace, what it means to them and why peace is important. The Project has grown tremendously since its inception, with a total of 2.5 million participants taking part by 2016. This year the Peace Crane Project is also collecting 1,000 cranes, each one from a different group around the world, to be displayed as an art exhibition which will tour at different locations across the globe. 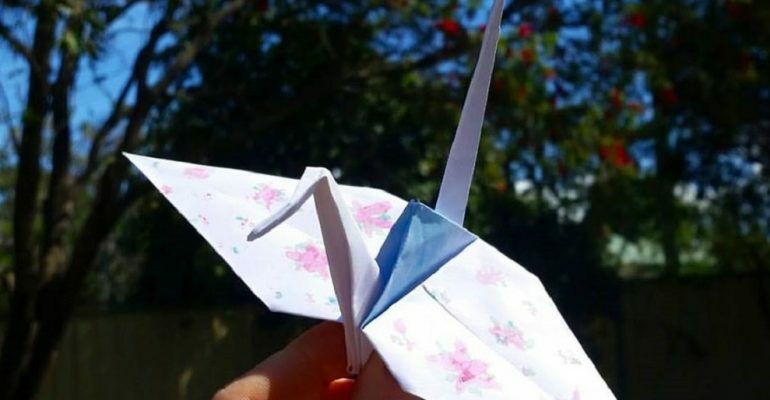 The Peace Crane Projects is an initiative which SI clubs worldwide can get involved in themselves and share in their communities, contributing to SI’s vision of the advancement of peace. Their website offers simple step-by-step folding guides, please click here to see the videos. Sarah has begun fundraising for herself and the team of three to attend these events in the United States, their goal is $10,0000USD.